Meet Goo Technologies, the Rovio chairman-backed Stockholm startup that’s keen to help make the interactive Web an even cooler place to hang out – thanks to the magic of HTML5 and WebGL. Meet Goo Technologies, the Stockholm startup that’s keen on helping make the Web an even cooler place to hang out. By their own account, the company says it’s ‘crafting the best tools in the world for creating eye-popping Web’ – which in practice means they enable people to develop rich 3D media that can be both created and enjoyed solely via the Web. 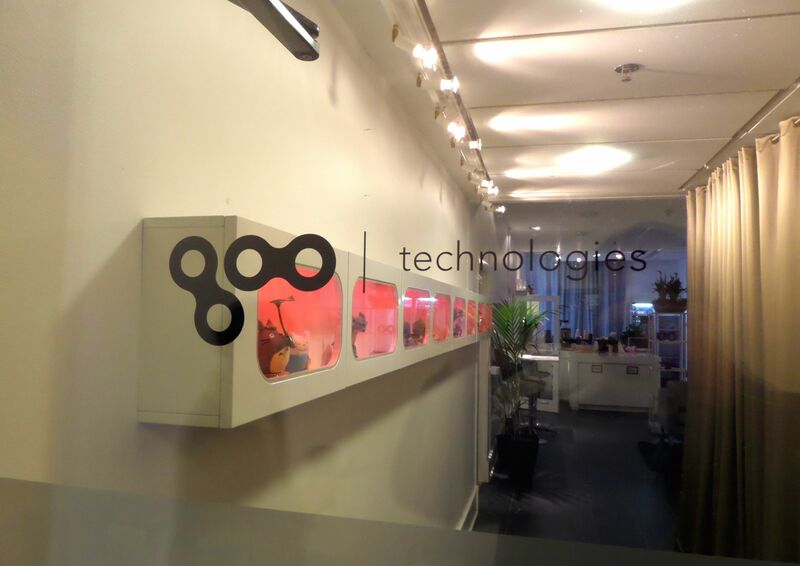 I paid a visit to the startup’s offices in Stockholm for a chat with Marcus Krüger, co-founder and executive chairman of Goo Technologies, as part of an extensive tour of the Swedish capital’s tech scene. Goo Technologies was founded in 2012 and received financial backing from MOOR, the private investment arm of Kaj Hed, chairman and main owner of Angry Birds maker Rovio, but I didn’t know much about it. Krüger explained that Goo offers advanced Web graphics software that can be used for anything from gaming, rich media advertising campaigns to education and browser-based product visualisations. As he points out during the video interview, Goo has attracted clients as big as NASA. Goo Technologies’ flagship products are ‘Engine’, the HTML5 and WebGL based graphics – the future according to Krüger – engine that powers interactive stuff like this (Pearl Boy!) and ‘Create’, which is essentially a low-barrier, browser-based 3D graphics editing and publishing tool. One area where Goo Technologies hopes to bring forward-thinking change is the advertising industry, having recently packaged Goo Create in a new offering specifically for those who’d like to create highly interactive, rich HTML5 ads (video of an impressive example ad here). A startup to watch closely (along with London-based PlayCanvas and Unity by the way). For more on Stockholm’s bustling tech scene, check out our overview post which features links to more video interviews with leading entrepreneurs. Do androids dream of electric cows?